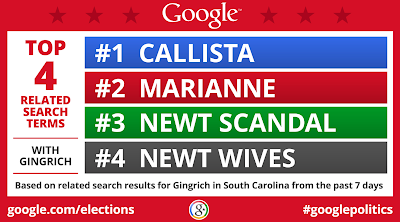 a graphic showing a 698% surge in South Carolina search traffic for Newt Gingrich since Monday. 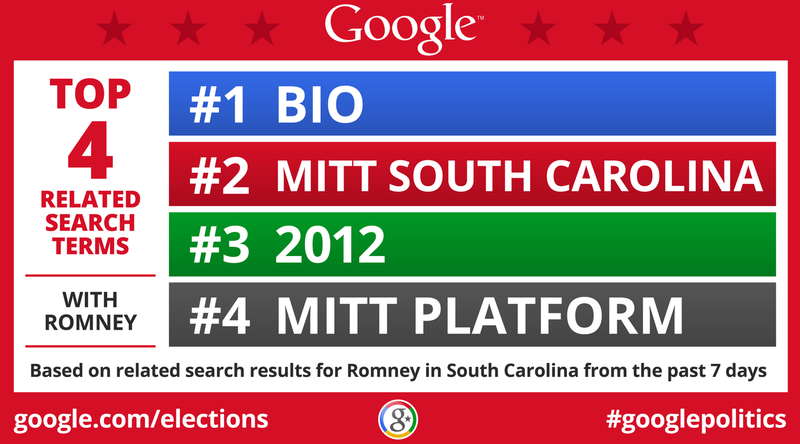 For the graphics below, Google Politics & Elections analyzed which search queries South Carolinians typed most often into Google in relation to Gingrich and Mitt Romney. As you can see, at least three of the top four searches associated with Gingrich have to do with the candidate’s current and former wives, which may be the result of a Nightline interview given to Gingrich’s ex-wife Marianne on Thursday. The fourth most-searched query, [newt scandal], may be a direct result of this interview as well. Because negative stories about a political candidate are often just as newsworthy as positive ones, it’s often helpful to go beyond mere search volume when analyzing which candidate-related issues have gained traction. 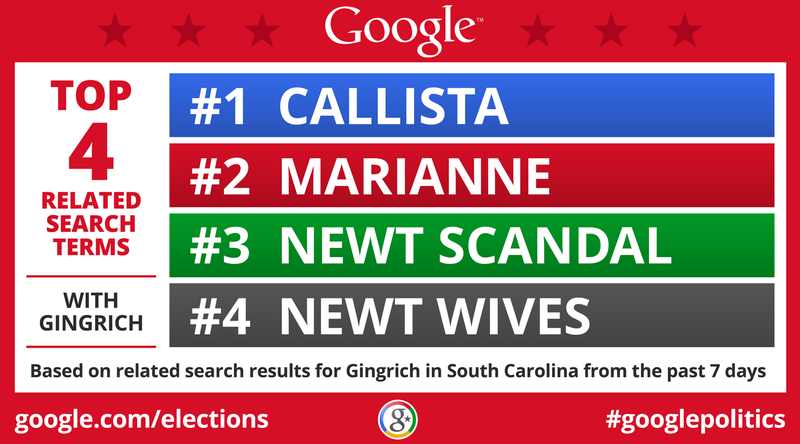 Yesterday, we published a graphic showing a 698% surge in South Carolina search traffic for Newt Gingrich since Monday. 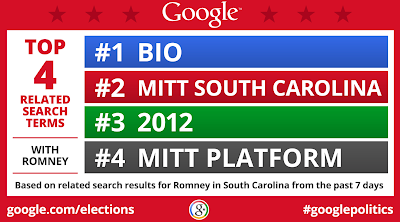 For the graphics below, Google Politics & Elections analyzed which search queries South Carolinians typed most often into Google in relation to Gingrich and Mitt Romney.